Russ Perkins first joined Royal Trust in sales in 1974 at Bank and Alta Vista in Ottawa. In 1981 he opened a brand new Royal Trust office in Kanata in vacant office space with no agents. Many of the agents who joined that office in the early years are still with Royal LePage Team Realty in Kanata today. Russ has forty years of full time experience in real estate, ten years in sales and thirty years as a Broker/Manager. Russ spent two years coaching for Richard Robbins International that proved to be a career and life enhancing experience. 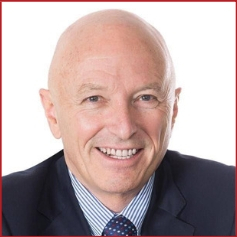 He has served on numerous committees for two different real estate boards and is proud to have sold and managed for Canada’s two premier real estate franchise companies.